Deborah Stone owns and operates Stone Veterinary Practice Management (StoneVPM) based in Austin, Texas. She has been involved with the veterinary profession for nearly thirty years and has experience in specialty, emergency and general practice management. She also brings several years of experience from the hospitality industry to the veterinary industry in order to provide fresh and creative solutions. <br>Deborah's presentations are energetic and highly interactive in order to encourage participation and build a deeper understanding of the message and content. She believes one of the most effective ways to make positive change is by developing solutions together.<br>She earned an MBA with a concentration in business management and completed her PhD in Organizational Leadership. Deborah is a Certified Veterinary Practice Manager, accredited from the Veterinary Hospital Managers Association. <br>Deborah devotes much of her time toward community service activities and holds memberships with American Animal Hospital Association, Veterinary Hospital Managers Association, VetPartners, International Leadership Association, Association of Leadership Educators, International Communication Association, Society of Human Resource Management, Austin Veterinary Practice Manager Group, and Texas Veterinary Medical Association. <br>She has served as the Senior Veterinary Practice Analyst for Brief Media's Veterinary Team Brief and currently serves on NAVC's Editorial Advisory Board for Professional Development and Practice Management for Today's Veterinary Technician. 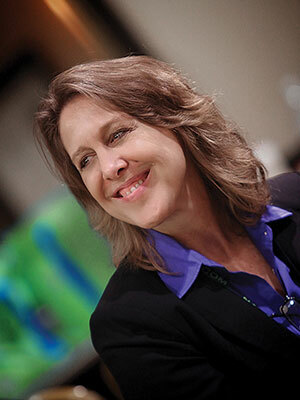 Deborah is a national speaker, founder of Austin City Unlimited Veterinary Management Symposium, and published author of practice management articles. <br>Deborah enjoys spending time with her family as well as performing with her bands, the LaxaTones and No-Lo Prophets. Profitable and healthy practices rely on effective leadership and communication both of which need to be a part of the practice culture. This presentation provides the necessary components and benefits of practicing authentic leadership. The material will also include information on Emotional Intelligence.